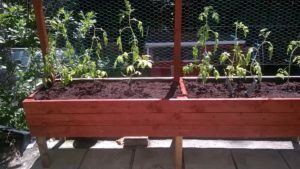 Raised vegetable planter with rear growing support (wire mesh) Various sizes from 1 metre long x 75cm high (planting depth aprox 30cm) and 50cm front to rear. 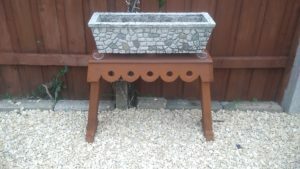 Support height approx 1.2m One shown £75 is 1.8m long x 73cm high x 50cm front to back. Support height 1.2m x 1.8m length. Pressure treated timber, plastic lined and divided into 2 halves. Wooden planter stand for that favourite planter you want to show off. Made to various shapes and sizes. Pressure treated timber and sturdily built to last. 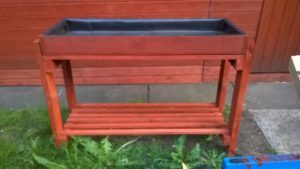 Potting / watering general purpose garden table, A sturdy garden work table / bench. Top and bottom shelf. Removable lined tray ideal for filling pots of compost or soaking plants and compost before planting / potting. Approx 47 in wide by 33 in high by 15 in front to back. 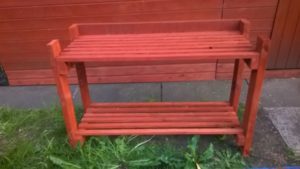 Pressure treated timber and painted cedar red (other colours available. Can be made to other sizes. 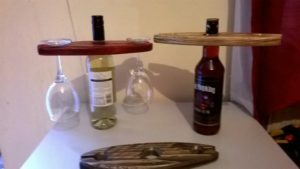 Novelty wall clock featuring wine glasses in place of numerals. Pine wood with natural satin varnished finish and coloured as shown. 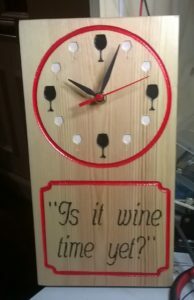 A fun novelty clock for the wine lover in your household. 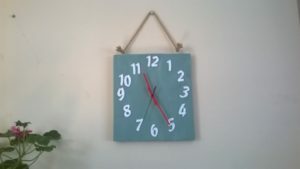 Country style rope hung wall clock. Aprrox 30cm x 30cm. Available in various colours (one shown is cuprinol shades forget me not) Battery operated (1 x AA included) with clear easy to see white numerals. Solid oak clock with brass stand and gold glitter edging. A unique one off item. 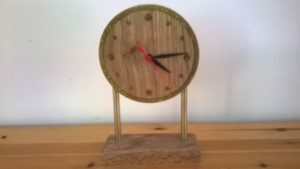 Clock face approx 150mm dia. Battery operated (1 x AA Included) Black hands with red second hand. 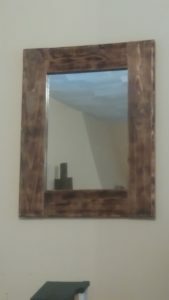 Rustic effect Mirror. Reclaimed wooden frame. Acrylic mirror. Satin varnished. Hung with d type hanger. Mirror size 420mm x 297mm approx. Other sizes and shapes made to order. 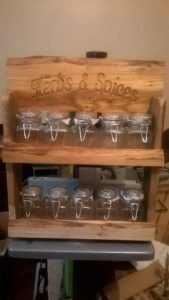 Red oak spice rack. A one off item made from live edge red oak for that rustic country look. Complete with 9 glass clipped spice jars. Natural oiled finish with the look and texture that only real wood has. 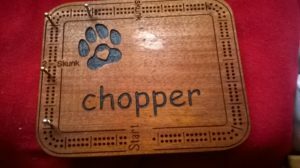 Like a nice game of cribbage? Why not splash out on a personalised crib board? Made to order for your team, club or pub. Hardwood for that expensive look or softwood. Supply a logo or graphic and have it truly personalised.